Aside from many other physical negative psychological effects of drug addiction, using illegal drugs can leave you with unappealing, sore-infested skin. The blisters and sores that appear on the face, neck, trunk and extremities of frequent narcotic users may become infected and cause permanent scarring. Users of illicit drugs--including methamphetamine, crack, cocaine and other 'uppers--may develop infected skin sores or blisters on the face, neck, trunk or extremities. Their skin may not heal quickly, as they may have poor hygiene and a poor diet, which can contribute to further skin irritation. They may suffer from frequent rashes, dry mouth and itchy skin. If the user has been injecting drugs into his veins, he may suffer from infected track marks. Frequent skin rashes, sores and blisters in drug users are the result of a combination of factors. Methamphetamine users may experience an itching sensation similar to that of having bugs crawling on one's skin. As a result, they tend to scratch their skin, creating sores that do not heal easily, due to the frequent scratching. In addition, users of illegal drugs may have poor hygiene when they are under the influence of the drug. Their diet may be affected, as they crave sugar and high carbohydrate foods, when they are under the influence of drugs. The combination of poor diet and poor hygiene may create oily skin that is prone to frequent breakouts. When the user scratches the pimples and blackheads that form, the skin becomes infected and pocked. 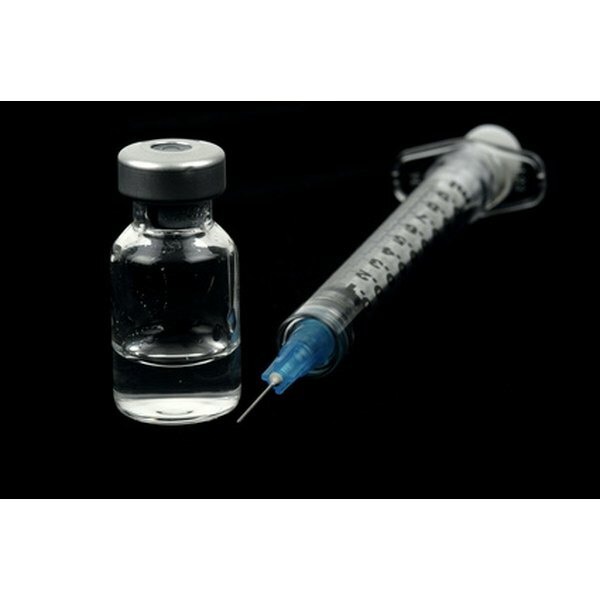 Users who inject drugs into their veins may contract illnesses from infected needles or may develop irritated, infected marks on the skin from scratching the site of injection. Users who suffer from skin infection, blisters or other drug-related sores or blisters on the skin may be able to improve the condition of their skin by stopping the illicit drug use. Managing their nutritional health and hygiene may help the situation. Anti-itch medication, antihistamines and soothing skin ointments may help to alleviate some of the sensations that contribute to the skin scratching, though because the sensations are drug-induced and are not organic in origin, these treatments may only offer a temporary 'fix' to the phantom symptom. Treatment for infected skin blisters, sores and rashes includes washing the affected areas in warm water and soap, applying antibacterial agents to the sores and, depending on the severity of the infection, taking oral antibiotics to cure the bacterial infection. Itchy rashes may be somewhat relieved by the application of corticosteroid ointment or creams. A diet low in sugar and high in fiber can help to rid the body of toxins and eliminate a yeast buildup, which may help to remedy some of the skin eruptions. Adequate rest, water (six to eight 8-oz. glasses per day) and proper hygiene can help to clear the skin, but unless the drug user stops using the illicit drugs, the condition is likely to persist or worsen. Illegal drug users with infected skin who persist in their methamphetamine, cocaine, crack, heroin or other illicit drug habits in spite of their pocked appearance and infected sores may face an increased risk of developing HIV AIDS, hepatitis, kidney disease, liver disease, tuberculosis, as well as skin necrosis (death) antibacterial-resistant staph infections, tetanus, botulism, candidiasis (yeast) abscesses and tumors.